The Edge Moor Bridge, a steel and timber trestle bridge, was originally constructed in 1898. 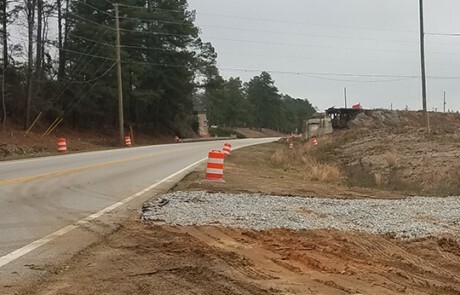 The bridge was moved to its current location near Fort Gordon in 1941 to support troop and equipment deployment during WWII. 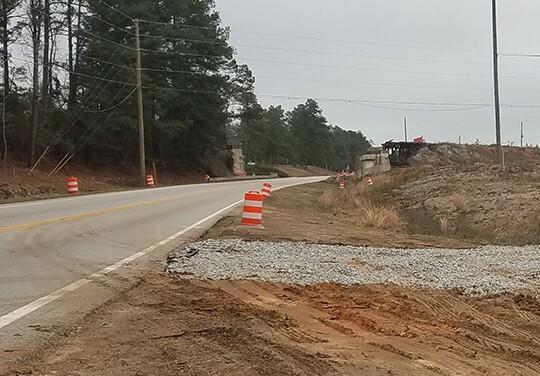 SRS was the prime contractor and OTIE provided on-site supervision, including health and safety and quality control, for the removal of the now-unused bridge to allow expansion of Highway 78 in Augusta, GA.
Preparations for removal of the bridge began on January 11. Initial work involved preparing the site for the crane and other equipment needed to lift the bridge. Equipment included lifting cables, torch cutters and gases, sling rods to stabilize the bridge during the lift off its piers, and boom lifts. 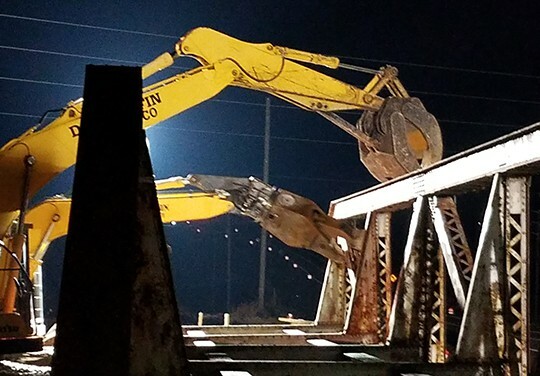 At midnight on January 11, the crew completed the crane setup and performed torch-cutting of the bridge bearing points to release the bridge from its anchors. The crew also raised lifting cables and placed them on the four corners of the bridge. 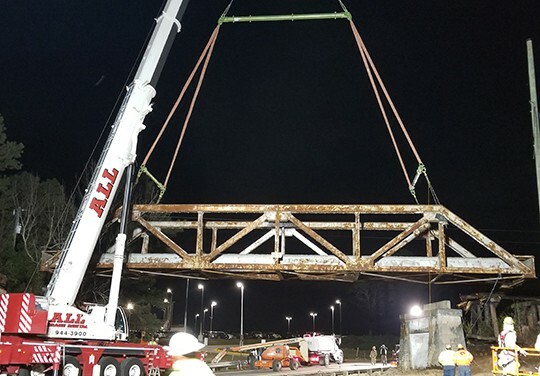 After two hours of preparation, the bridge was hoisted up, turned approximately 90 degrees, and lowered to the existing roadway. This process took about half an hour. The bridge was then demolished over the next four and a half hours using torch cutters, heavy shears, and grabbers. 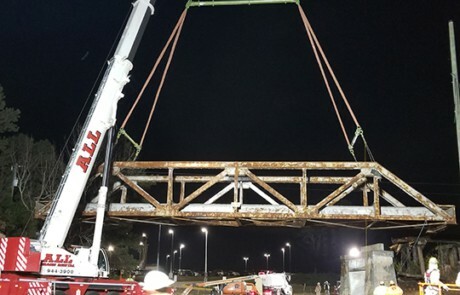 The road was reopened to traffic about 5:30 a.m., while the final stages of demolition were underway, and the bridge material was then transported offsite for disposal at a facility to be recycled or reused. Following the overnight removal efforts, OTIE remained on-site to oversee site restoration and demobilization of the heavy equipment.